FASTSIGNS® International, Inc., with more than 530 locations, was recognized as a 2011 World-Class Franchise®, presented by the Franchise Research Institute. 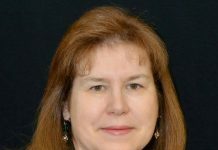 The recognition was a result of a confidential survey administered to all FASTSIGNS’ franchisees by the Franchise Research Institute, which studies and promotes high standards of excellence within the franchise industry. Of FASTSIGNS’ 402 existing franchise owners, 71 percent answered the 20-question survey which consists of crucial investment questions. * 94 percent of franchisees gave a positive overall rating to the quality of the FASTSIGNS franchise system. * 95 percent of franchisees agree that FASTSIGNS encourages high standards of quality performance throughout the organization. * 92 percent of franchisees gave a positive grade to ongoing training and support supplied by FASTSIGNS. * 93 percent of franchisees agreed that FASTSIGNS responds in a timely manner to questions and minor problems. The company continues to grow the brand and is targeting various expanding markets as part of a growth strategy calling for thirty-five new centers by the end of 2011, expanding through a combination of new center development and conversions of existing independent sign shops. The conversion initiative allows independent owners to partner with FASTSIGNS in reaching their full potential and long-term goals. 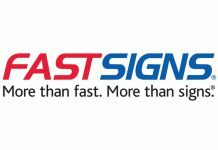 Additionally, FASTSIGNS recently secured $4 million in financing for franchisees opening new centers. The company offers the dominant brand name in the visual communication industry, sophisticated e-commerce capabilities and the latest technology, along with access to endless marketing resources and benefits. For franchise information, contact Mark Jameson or Brian Wieters by calling 800/827-7446 or emailing [email protected] and [email protected].